The ease of use with Wave makes it a great tool. Someone without much accounting experience can jump in and use the software. 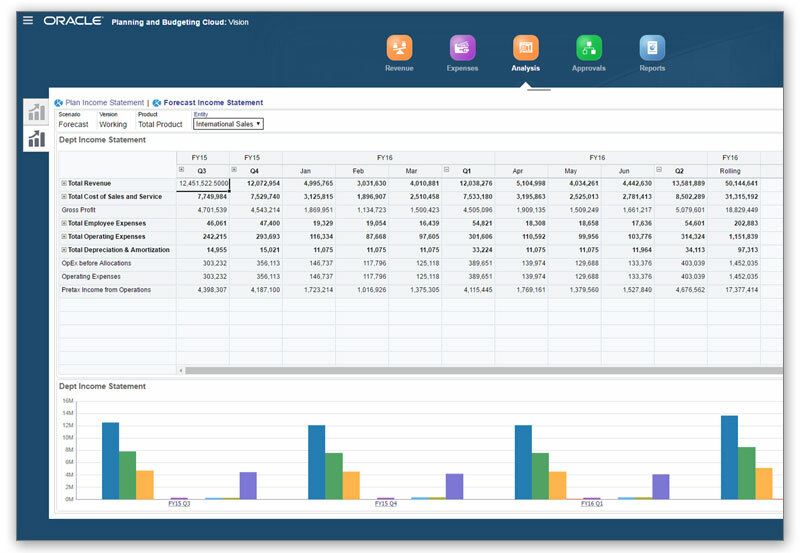 The reports features in Wave make looking at financial statements a breeze. In addition you can quickly drill down into expense categories to see all transactions of a certain type. It is very easy to generate a sales invoice and see the average period for our company to get paid. I love the Wave Invoice app where we can track invoices on the go and verify payment history. Build a strong support model as metadata management is time consuming as is management of reporting changes. For EPCRS, models are difficult to build and require specialized and dedicated resources for implementation, maintenance, and support. I have only used Hyperion products. Wave has been ROI positive for our company. With not having to pay for the service we can use our money for growing our business. The fees on credit card transactions for invoices are reasonable especially as we don't pay a monthly subscription. The invoicing feature has made our lives easier for us and our customers. The invoicing piece and AR tracking has been ROI positive as well. It is easy to bring the app according to the needs of the users. The user community maintains the app by themselves now. Pricing per user varies by component within the Oracle EPM Cloud solution. Please see pricing information for the EPM Cloud components on cloud.oracle.com or contact Oracle Sales at +1.800.633.0738.